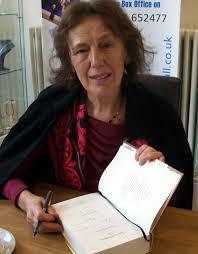 Claire Tomalin is best known as a biographer. She has written books about the lives of Samuel Pepys, Jane Austen, Charles Dickens, and Mary Wollstonecraft. Now she has written a book about her own life, called “A Life of My Own”. It’s about her career, the sexism she faced when she was starting and finding her voice as a writer and it’s also about dealing with grief. In 1973, her first husband, the British reporter Nick Tomalin, was killed in Israel, by a Syrian missile, while he was covering the Yom Kippur War. She was left to take care of four children on her own. One of her children was born with growths covering his body and died in infancy. One of her daughters took her life after suffering a profound, terrifying depression.